Don't forget to join the "龍拳 Fist of Dragon Movie Event Giveaway Contest"! My friend just told me that she submitted the post but I can't view it in my page. You have to make your FB wall post in public in order to submit your post. 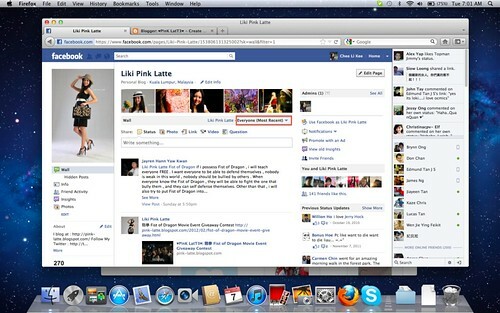 Click on Everyone (Most Recent) in Liki Pink Latte to make sure your post is published there! As of 7th February 2012, 2.09am, I only received 1 contest submission and it's from Jayren Hann Yaw Kwan! Where is the others?! Tomorrow is the last day of submission!